Ultimate Performance Engine Compartment Upgrade Kit. 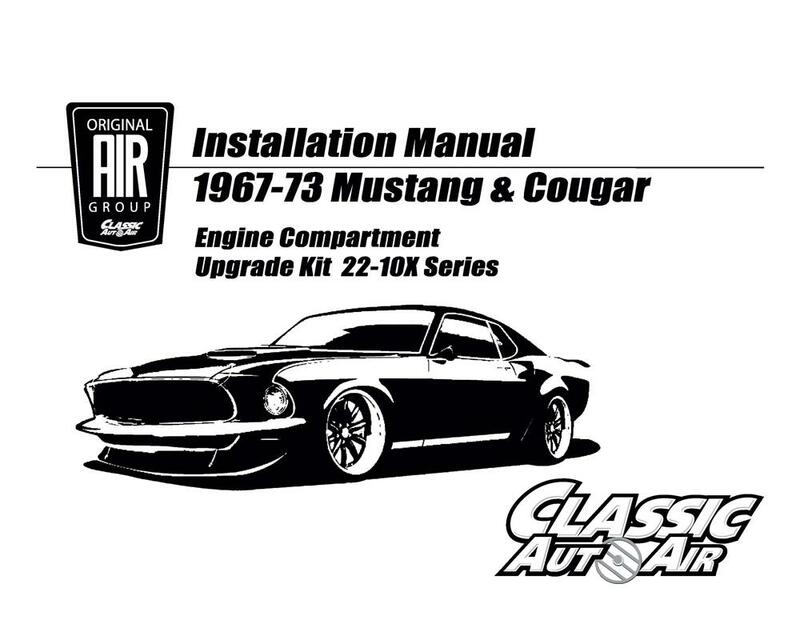 This kit is engineered for your late 1967*-1968 Mustang/Cougar with factory A/C and Ford 289/302 V8 engine with original compressor mount, idler and idler mount bracket. *Only fits Late 1967 vehicles with 289 V8, original compressor mount and a STAMPED STEEL IDLER BRACKET THAT DOES NOT HAVE A PART NUMBER STAMPED INTO IT. WILL NOT FIT EARLY 1967 CARS WITH CAST IRON "dogleg" IDLER/SUPPORT BRACKET (stamped with Ford part # starting with C7). UNSURE? PLEASE CALL OR EMAIL.